A brief overview of our mission - to enable scientists to fully exploit the power of data and computing e-infrastructure by providing support to non-experts and advanced users; improving the performance and functionality of key applications; and developing user-friendly computational workflows. Scientists at the Institute for Research in Biomedicine (IRB Barcelona) and the KTH Royal Institute of Technology in Stockholm develop a new method that predicts the way in which proteins move to exert their biological functions. DNA is not only among the most important molecules in life, but a meeting point for biology, physics and chemistry, being studied by numerous techniques. Theoretical methods can help in gaining a detailed understanding of DNA structure and function, but their practical use is hampered by the multiscale nature of this molecule. Nostrum BioDiscovery has come about from the combined efforts of IRB Barcelona and the BSC-CNS—two research centres of excellence in Barcelona—with the participation of the University of Barcelona and ICREA and supported by the Botín Foundation’s technology transfer programme. 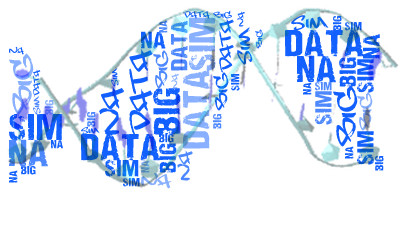 IRB Barcelona is to coordinate a Horizon2020 bioinformatics project that seeks to lay the groundwork for the emerging field of 3D genomics. Click below to enter the MMB Forum. You must init session with your IRB e-mail. Main logo created by Wes Breazell from the Noun Project.